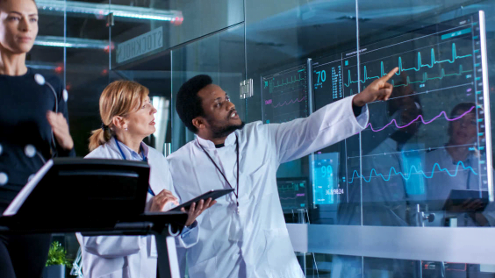 ASN Filter designer’s ECG biomedical reference design provides designers with a complete front-end filtering solution for ECG measurement applications. Simply import your datasets into the tool and interactively fine-tune the filter cascade cut-off frequencies in real-time with ASN FilterScript in order to suit your application requirements. Advanced Savitzky-Golay FIR lowpass filtering minimises the effects of measurement noise while preserving the sharpness of the peaks. remove any annoying EMG signals and instrumentation electronics DC offsets without destroying the wanted ECG components. An adaptive filtering algorithm tracks the changing levels of interference caused by a patient movement and automatically adjusts the notch filter’s Q-factor in order to minimise ringing and preserve the ECG peak information. Why should I use ASN smart algorithms & technology? Baseline wander cancellation, 50/60Hz powerline interference killer and peak sharpness preservation. Automatic code generators for rapid deployment to MATLAB and Arm CMSIS-DSP code for embedded Cortex-M devices. 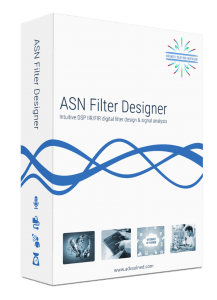 The ASN filter designer provides engineers, lecturers, researchers, students and hobbyists with everything required in order to design, experiment, implement and then evaluate complex IIR and FIR digital filter designs for all IoT/IIoT smart sensor applications. Abandoning the traditional design paradigm of manually inputting parameters into text boxes, clicking on a design button and waiting a few seconds for the result, many customers have reported that our modern real-time design paradigm led to a signficant cut in development time – up to 75% in some cases!